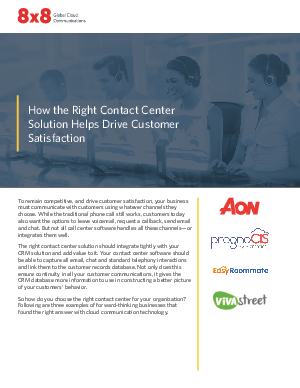 The right contact center solution should integrate tightly with your CRM solution and add value to it. Your contact center software should be able to capture all email, chat and standard telephone interactions and link them to the customer records database. Not only does this ensure continuity in all your customer communications, it gives the CRM database more information to use in constructing a better picture of your customers’ behavior. So how do you choose the right contact center for your organization? Following are three examples of forward-thinking businesses that found the right answer with cloud communication technology.